Get complete protection for your laptop when you travel with this backpack. With its padded compartments, you can be sure it will protect your laptop and tablets from scratches and slight bumps. And padded back for greater comfort while traveling. 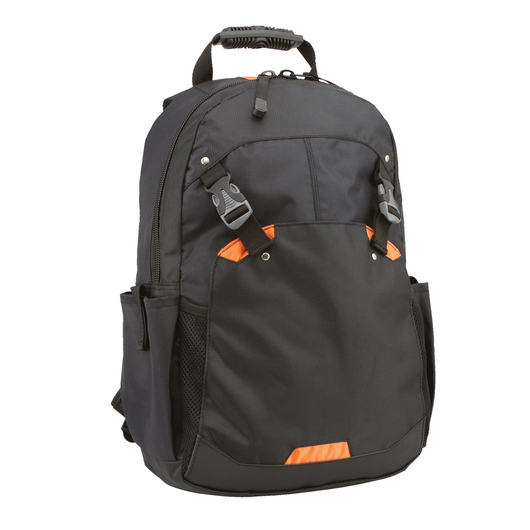 Transport your computer and other essentials to work, school and elsewhere with our laptop backpack. 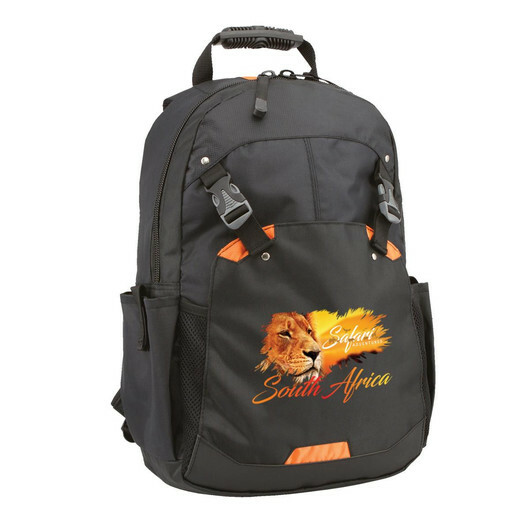 Built for comfort and durability, it's perfect for transporting all your business and study needs. Made from jacquard nylon/840D polyester. It has 17 litre capacity and can easily fit a 15" laptop. The double zippered main compartment contains padded laptop sleeve with slip pocket and valuables pocket. 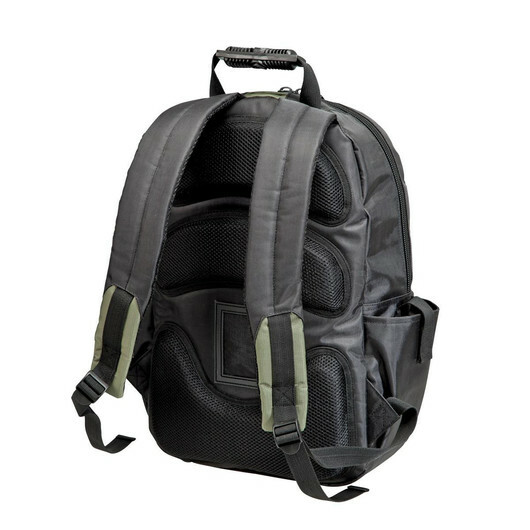 It also features a slip pocket under front flap contains hidden pocket, air mesh padded back and straps, webbing zip pullers, business card holder on back, side pockets with Velcro closures, front stash pocket secured by two front release clips, adjustable shoulder straps, and webbing carry handle with moulded rubber grip.